Thanks, we are happy for all support. We are glad that more and more people join in. I am an artist myself, and a material library is what I missed in blender a lot… That’s why I spend more than a year developing and tuning this thing. Will you guys be adding procedural materials? The ones I’ve tried are image texture-based and repetition is very apparent. Or at least some node setup to make them not so apparently repetitious would be good. Also, maybe contact artists like the poster behind Free procedural 2.8x material, batch 2 "Concrete"? Might be good to work something out. He’s giving out free procedural materials but could use funding, and it would be good to have quality procedural materials in BlenderKit. Hi! Thanks for feedback, I get your point. Well, first thing I need to mention - we are a community based site. We don’t and can’t create all the content for the site, and are dependent on our users. That’s why we actually hope people will start using the library more to upload their materials. By now, we get mainly model uploads, which is quite logical, people upload to have some reward for their money. There actually are procedural materials, but the ratio I guess is now 9:1 texture based vs procedural. I plan to add option to search only for procedural materials, which should make life easier. Hi. Could you please look over your email settings for reminders and such? This looks nice, keep up the good work. Sorry for that, I already passed this to Petr - our server coder. Hope it gets fixed soon, I want aware of this. I do have a question for you though. I am currently experimenting with some ‘procedural’ models using drivers and modifiers with hooks and rigs. However I can’t figure out how to include rigs and ‘handles’ (empties that you can grab and drag around) for stuff like models with adjustable height and such. 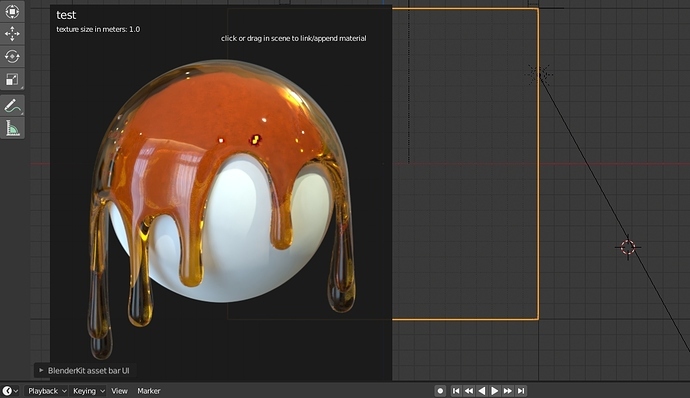 I have some cool ideas if that is possible but it seems like Blenderkit is just made for static models. EDIT: It was silent for these past two days but now I am back to getting spammed by emails again by the way. so far I included adjustable models mainly so that there are hooks on top of the mesh, + there is a bone rig guiding it all, also a parent of all the objects. BlenderKit needs all the objects to be in one hierarchy , this means they should all be parented to one ultimate parent. If you however had problems with some objects, could you send the files to me? I could check for development purposes what is happening when trying to upload these files, and possibly improve the addon to upload the complete model. Passing the emails issuea again to Petr. Wow!! Awesome and very usefull! I just have a question about materials in BK: if I use them to texture and shade my models, can I then sell my models including the materials (on BK or other site) ? Is it allowed? Have you ever consider 1 one time pay plan, I don’t like subscription. I like BlenderKit a lot after using the free version. Please take a look at the “podiumbrowser” for sketchup; it’s a one time paid model. do you mean users could purchase single models? We could consider this, but for this, we would have to implement a whole shop online e.t.c. Since there should be no selling directly inside blender in our opinion. We also wanted to make things simple for the users this way. BlenderKit addon is no longer working with the current 2.8 build (24th March). Will test and try to fix asap. latest 2.8 version 30th March. Will investigate today with fresh build.